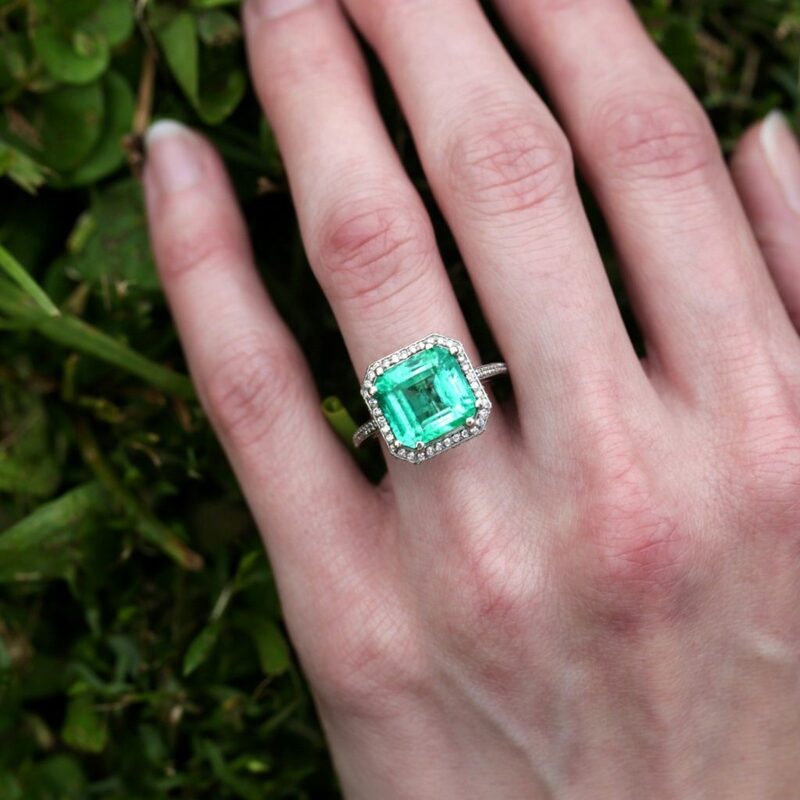 Featured is a bold Colombian emerald set amongst a halo of diamonds in brilliant 14kt white gold. The emerald displays an intense medium-dark Colombian green hue and is square step cut resting in a sturdy 8-prong setting. It weighs 5.21 carats and is a Type III AAA SI1 clarity stone. There are 54 round cut natural diamonds encrusted in the setting and they together weigh .27 carats. 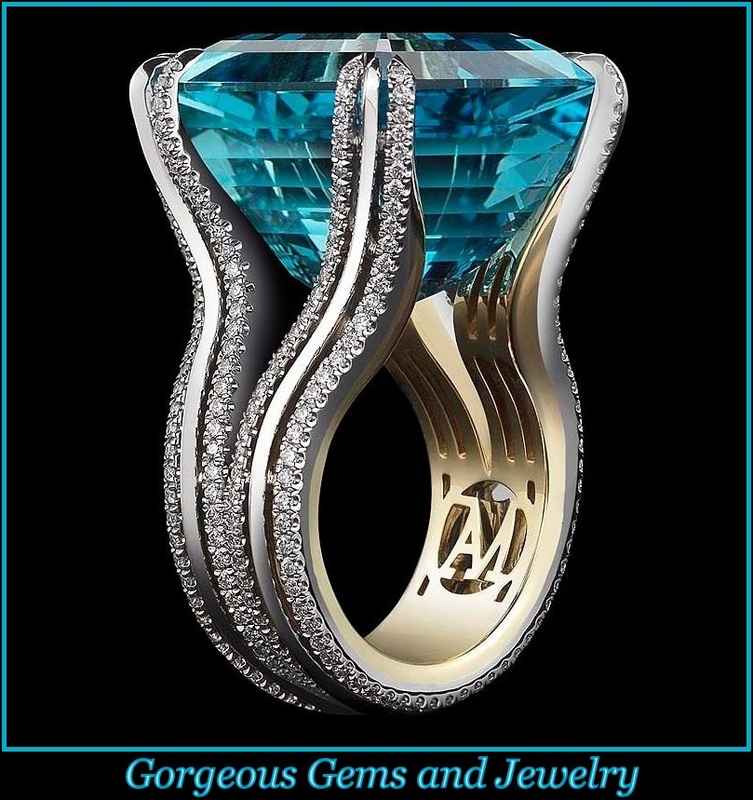 The ring raises the May birthstone high at 10.70mm above your finger. It is currently a size 7 and can be resized. This ring is in Like New condition.